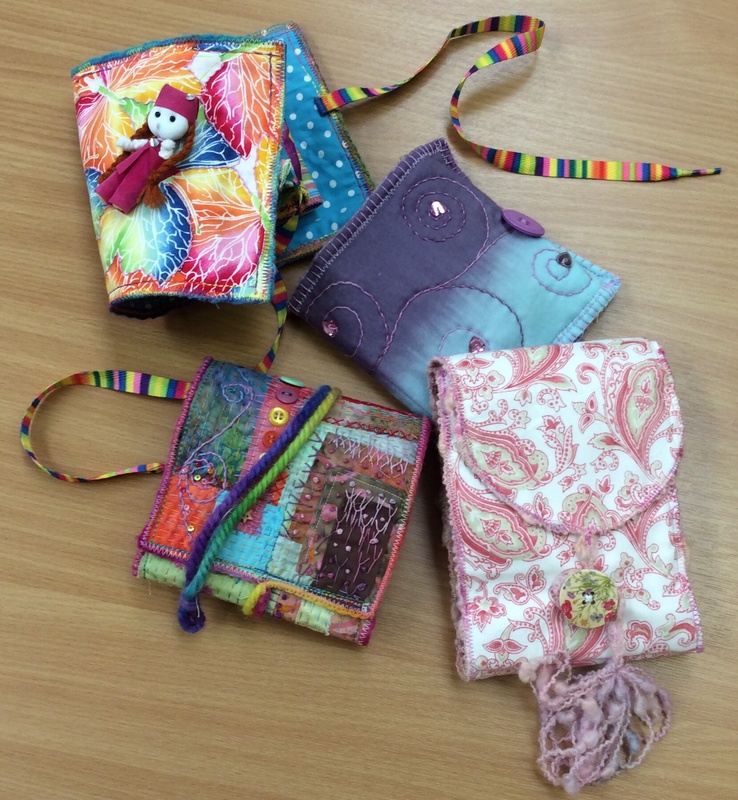 A selection of some of Tina’s hand crafted Pocket Books. 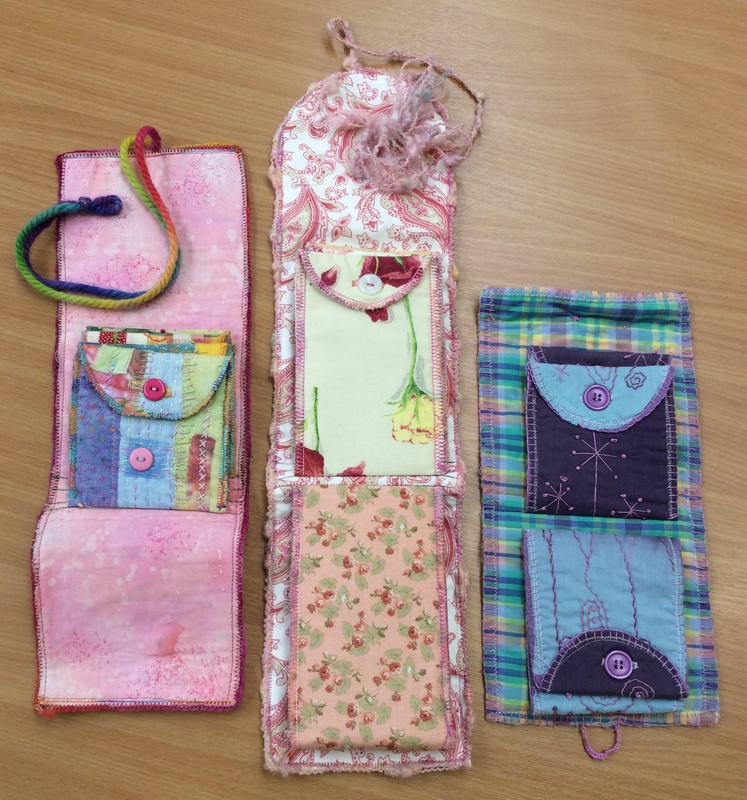 At today’s Sit & Stitch session at Stitchcraft I saw these wonderful “pocket books” which were made by Tina Slipper. 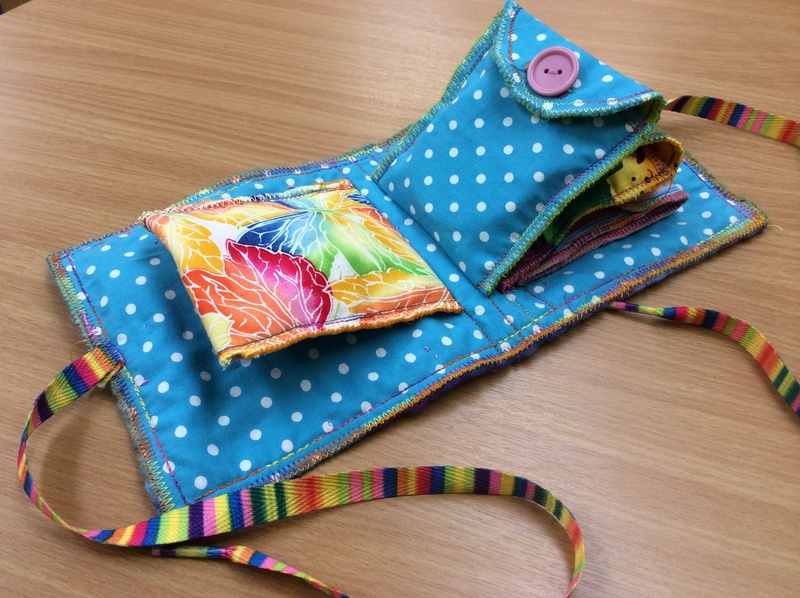 What a great idea for using up your off cuts/scraps to make a useful, hand crafted item. I love Tina’s use of colour and the hand embroidery that she applies to her work. These would make lovely gifts and can be used to hold all sorts of small items i.e. jewellery, sewing accessories, momento’s, etc. Opened books reveal the pockets inside. These are all so different it would be hard to chose a favourite. If you like them as much as I do and would like to have a go yourself Tina is holding her next workshop at Stitchcraft in Grantham on October 30th.